Demaplaning removes the top layers of dead dry skin and also removes the fine facial vellous hair. Microdermabrasion abraids the top layers of dead dry skin and vacuums them away. Microdermabrasion services are performed using only Diamond Tips, thus eliminating the use of toxic aluminum crystals. Using a bio-feedback therapy to stimulate and reprograms the facial muscles. The stimuli allows the muscles to regain their elasticity and therefore corrects sagging skin. The blood circulation is increased and the pores are tightened, giving the skin a more refined and youthful appearance. Dermaplaning removes the soft, fine hair while exfoliating dry skin cells. Dermaplaning removes the top most layer of the skin surface improving the skin texture immediately. Lactic acid is applied to help free the pores of debris. A series of six treatments is recommended to achieve the maximum benefit from the Dermaplaning process. Dermaplaning (also called epidermal leveling) immediately rejuvenates the skin leaving it smooth, supple and vibrant. 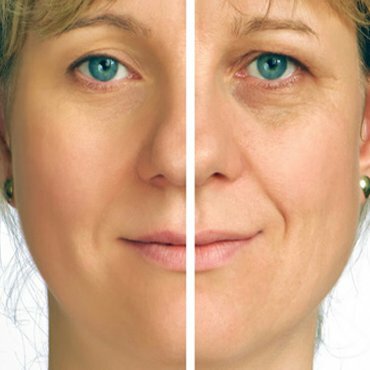 Dermaplaning is highly effective for minimizing the appearance of fine lines, wrinkles and acne scars. Dermaplaning removes vellous facial hair. The removal of the skin barrier allows for better penetration of active ingredients both in treatment and home care products. It creates the perfect canvas for smooth makeup application. Clients love the treatment and how their skin looks and feels for weeks after. 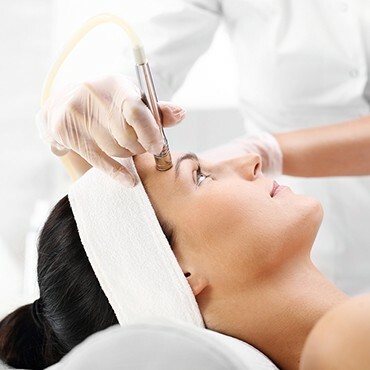 Dermaplaning is extremely safe when performed by a professionally trained aesthetician. It is non-invasive, quick and effective.